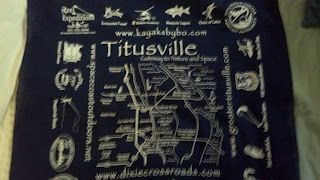 I have just been handed the official bandana of Titusville. A man with over 5,000 square feet of books. What more could a girl like me want? I screeched to a halt in front of storefront that boasted "Prison Book Ministry" because Book and Ministry together? In one sentence? I'm all over that. Ray Hall met with me for over an hour telling me his story, it is a fantastic story, one you won't believe. But I can't tell you right now. I'm going to the Wildlife Reserve in the shadows of NASA. 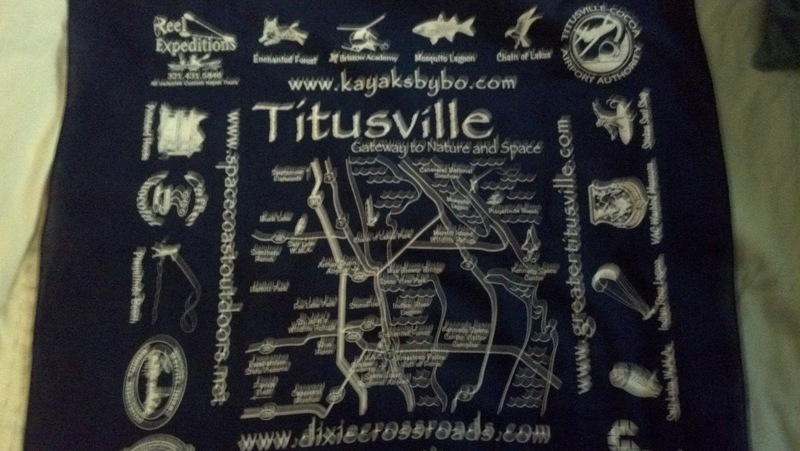 I'm going hiking and kayaking and other killer nature stuff. So I'll tell you the story later. 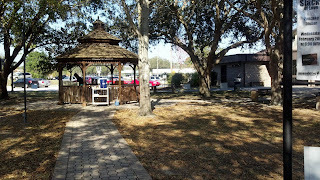 Oh, and the story about the lady who turned an old Firestone Tires building into Stonefire Arts. Yeah, I knew when I passed that place that I would have to talk to the person who did that. Want a tiny trailer, a spoiler? She was asked by Prince Charles to send her art over and then go over herself and present it to him the first week of February. How do I stumble across people like this? ... and where the service ended with blue flashing lights and men in suits handcuffing the pastor. Tune in tomorrow. Gotta run! Hate it when you keep me in suspense!